The AutoCAD WS free mobile app for Android has all the features our iOS users have experienced for iPhone and iPad, including a wide range of CAD editing tools and the ability to share AutoCAD designs with anyone, anywhere. AutoCAD WS for Android is available in nine languages – English, Chinese French, German, Italian, Japanese Korean, Portuguese and Spanish. 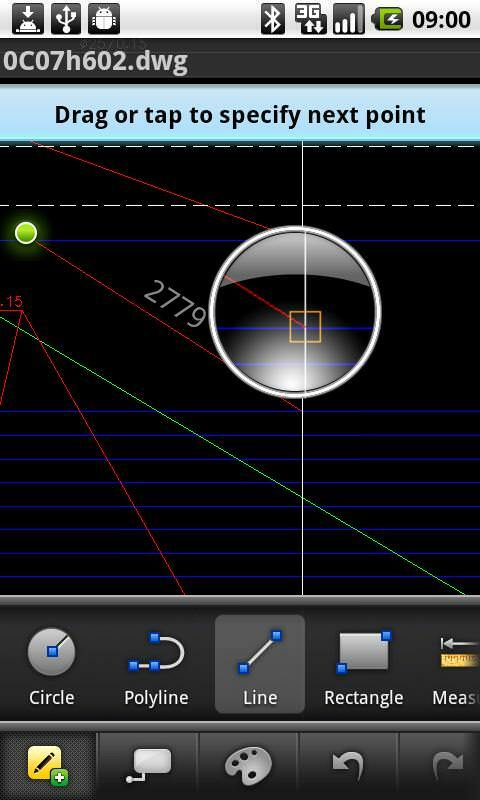 The AutoCAD WS mobile app lets you view and edit your AutoCAD drawings from any Android phone or tablet. Take your designs with you wherever you go, on the train or on the factory floor, at the office or at a construction site. AutoCAD WS means you have access anywhere at any time. The AutoCAD WS mobile app delivers smart vector DWG data to your device, enabling you to accurately select, annotate and interact with AutoCAD drawings. An intuitive touch and gesture interface makes it easy for both AutoCAD and non AutoCAD professionals to work on and stay connected to their designs from anywhere. Share drawings easily with colleagues and clients to their desktop computer or their android or iOS devices. Work on the same drawing and you can see each other’s edits in real time. Upload AutoCAD drawings using the AutoCAD WS web application or open drawings that you receive as email attachments to your mobile phone or tablet. AutoCAD WS was replaced by the AutoCAD 360 platform. The AutoCAD WS for Android software seems to be old or discontinued. If you need more information please contact the developers of AutoCAD WS for Android (Autodesk, Inc.), or check out their product website.